Justin for Spectrum had a bug right at the end of the game! Thanks to Pavero and Radastan for helping me find it. The previous release of CPCE was made in a hurry and unfinished features were left out; this re-release gives LPTCPC the ability to send extended disc images (and it supports many copy protections) and improves the compatibility of the FDC reading commands, thus expanding the range of supported discs. The night before the retro computer event MadriSX 2008, CPCE 1.90improves the IRQ and VSync signals synchronization, fixes bugs in the FDC that now supports Titus' disc protection, and the Z80 search function and ZIP support have been improved as well. CPCE 1.85 fixes a serious bug concerning the Symbiface 2 IDE, lets the option TAPE_COMPATIBLE disable tape speedup if CPCE does it wrong and makes the Win32 file dialog ZIP archive handling a little smarter. A tiny hotfix of CPCE 1.84 regarding buggy and obsolete fragments of code in the tape functions is available. The mirror site has moved from [i]"cngsoft.dyndns.org/cpce"[/i] to [i]"cngsoft.no-ip.org/cpce"[/i], too. CPCE 1.84 is yet another version focused on fixing minor bugs and adding practical bits: DOSBOX's TRUENAME supported, more compatible AVI recording, new vertical mode 5 (288/576 pixels), more consistent Symbiface 2 ROM handling and many more. Several platform-specific bugfixes and improvements are featured in CPCE 1.83, such as 16-bit maths in the HD sector seek function and fully resizable windows. A hotfix for CPCE 1.82 repairs several issues with the keyboard ("sticky keys") and other minor bugs. CPCE 1.82 is out! Autorun has been greatly improved thanks to a new algorithm that looks for files matching known patterns and maximum RAM size has been expanded to 2112 K (=64+2048). Nearly one month behind schedule, CPCE 1.81 fixes many bugs and introduces joystick mapping customization, FDC timeout emulation, floppy disc side flipping and more. CPCE 1.80 features full Symbiface 2 emulation just in time for the retro computer event MadriSX 2007! This release features several compatibility improvements and bugfixes as well. 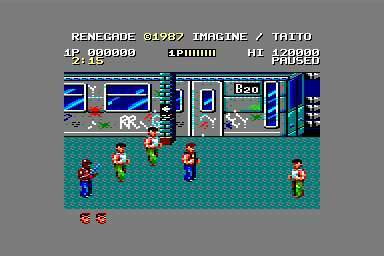 The videogame "Justin" has been ported to ZX Spectrum, too. CPCE 1.71 has been patched to support a new turbo mode, 4 (32 MHz). A hotfix of CPCE 1.71 corrects a bug in YMP pause mode and another one in CPCE's debugger. CPCE welcomes the new year 2007 with a new website design based on CSS style and PNG images instead of many small GIF pictures. 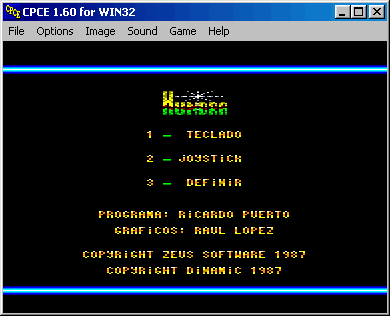 CPCE 1.71's main improvement is that the FDC handles 6 KB sectors, so disc protections used in "Double Dragon (Mastertronic)", "The Addams Family" and other games work correctly now. A pair of tiny bugfixes (overscan wrapping in DOS and hardware ports ghosting) allows Hermol's "XMAS2006" intro to show despite a bug (the command at $8C3F should be LD BC,$BC00 instead of LD BC,$00BC). DOUBLE_SPEED is now TURBO_SPEED and speeds the Z80 up to 8, 12, 16 or 24 MHz, as defined by TURBO_VALUE or /t<0-3>; former /t<0-5> (command line option for ROM_TYPE) is now /m<0-5>. 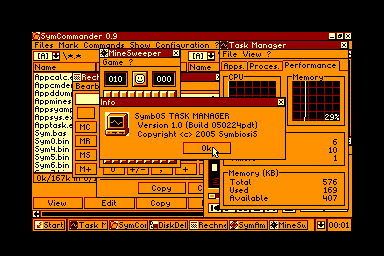 CPCE 1.70 supports up to 576K RAM and 272K ROM, and is thus able to run Prodatron's SymbOS GUI at full performance both from disc images and ROMs. The DOS version has had one of its oldest bugs (RAM banking on video memory corrupted graphics) fixed, and the DPMI version includes the DPMI extender PMODE 3.07 so external extenders such as CWSDPMI are no more required from pure DOS. Other bugs (such as rare structure corruption after a FDC format) have been fixed too. The file CPCE95.EXE was slightly corrupted. Please download CPCE 1.61 again. A second hotfix of CPCE 1.61 corrects another DirectSound bug and a hardware ghosting issue. A quick hotfix of CPCE 1.61 corrects a tiny DirectSound bug. CPCE 1.61 has been added DirectSound support, and it also corrects a YM2149 bug and optimizes new tape loaders and Z80 loops. This website now has a banner that you can use in your links. Just in time for CPCE's 9th anniversary, CPCE 1.60 has been released! It features a big new debugger and MANY improvements in compatibility, performance and customization. A quick hotfix of CPCE 1.56 corrects a tiny bug in the FDC. CPCE 1.56 corrects several bugs and improves the CPC<->PC data transfer tools and documentation. Finished right after MadriSX 2006, CPCE 1.55 adds the ability to record AVI videos and corrects several tiny bugs. Even more bugs have been fixed in CPCE 1.54, most of them located in the sound procedures, but also one that could crash CPCE when both emulated tape and disc were running simultaneously. CPCE 1.53 corrects a major bug in netplay and other minor bugs, and YMP doesn't need LHA.EXE anymore. CPCE 1.50 and JUSTIN are released! Download them now! CPCE 1.50 and JUSTIN are nearly complete. If nothing goes wrong, they'll be published tomorrow Monday 12th. Wish me luck! CPCE 1.40 allows runtime ROM selection, features better FDC emulation ("Format Track" supported, plus some bugfixes), many bugfixes (CRTC, PIO, virtual tape, etc.)... and YMP supports YM5 files. CPCE 1.31 enhances the Z80 engine and enables the PAUSE key. YMP is back! CPCE 1.30 includes YMP 1.00, and fixes many bugs. 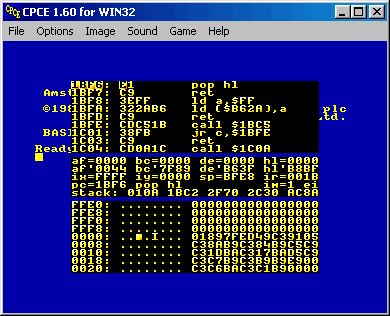 CPCE 1.21 fixes a tiny bug in YM2149 engine and features a better configuration. 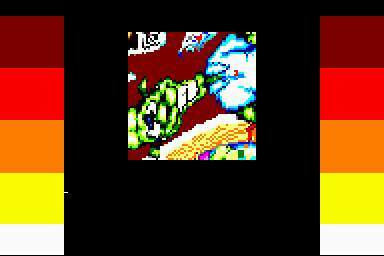 CPCE 1.11 fixes two or three bugs and introduces scanline mode selection. Happy new year! 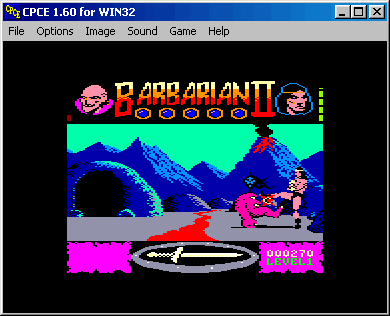 CPCE 1.10 new features are printer logging, joystick support, better NEC765 emulation, and it's safer (no more bugs in WINNT) and handier (WIN32: ZIP file handling and fullscreen mode). CPCE 1.00 is released! 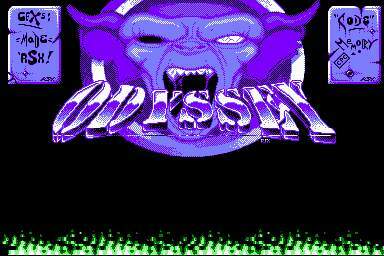 As promised, it's made for three different platforms: DOS (MS-DOS 16bit), DPMI (MS-DOS 32bit) and WIN32 (Windows 95, 98, etc.). It corrects and enhances many features from previous versions, too... Enjoy it! Do you remember the first images featuring raster effects in CPCE? (these ones: 1st, 2nd, 3rd and 4th) Well, there's the nearly complete Win32 version of CPCE displaying those games and demos! Why this nostalgic idea? Well, CPCE is about to be five years old! Next release of CPCE will feature three versions: DOS, DPMI and WIN32. Converting the old DOS-only sources to "portable" ones takes a lot of time and work... that's why I haven't updated my projects for long :( By the way, do you like the new WWW design?